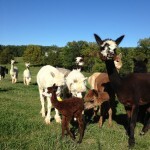 Come to Alpacas of Troy’s farm to learn how to use natural dyes to color your own yarn! 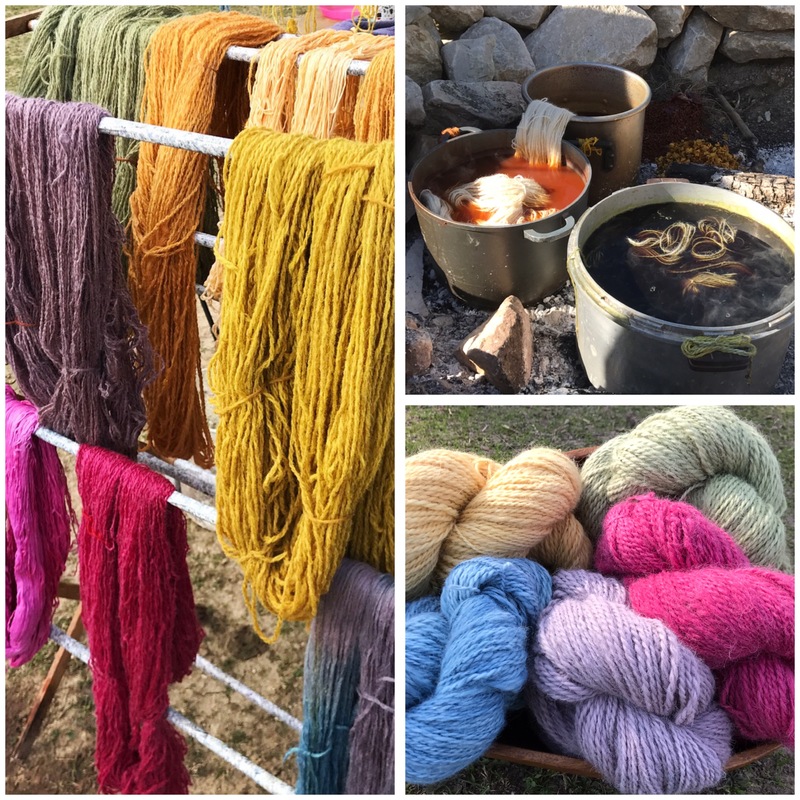 This 3 hour workshop will teach you how to dye your yarn with natural dyes and also an overview of the milling process to create yarn from animal fiber. We will learn the proper way to scour and mordant yarn to affix the desired colors. Participants will be provided with 7 pre-mordanted sample hanks of alpaca yarn to dye for each dye pot. We will have additional pre-mordanted alpaca yarn available to purchase as well. If you would like to purchase our prepared yarn, please include the number of ounces of yarn you would like in your ORDER NOTES section during checkout, so it can be prepared. Yarn purchased will be $6.50 per ounce and you may purchase up to 16 ounces if you are not bringing any of your own (Participants are limited to one pound of dye-able yarn for this class due to dyeing pot limits.) You will pay for the extra yarn the day of the class. Participants are welcome to bring up to 8 oz. of undyed natural fiber (cotton, wool, silk, alpaca, etc…). If you choose to bring your own yarn and it is not pre-mordanted, the resulting color may not be as vibrant. As time allows, we can also explore further color possibilities through after bath mordanting and over dyeing. The workshop will be held outside so please wear sturdy closed-toe shoes, and prepare for the elements. 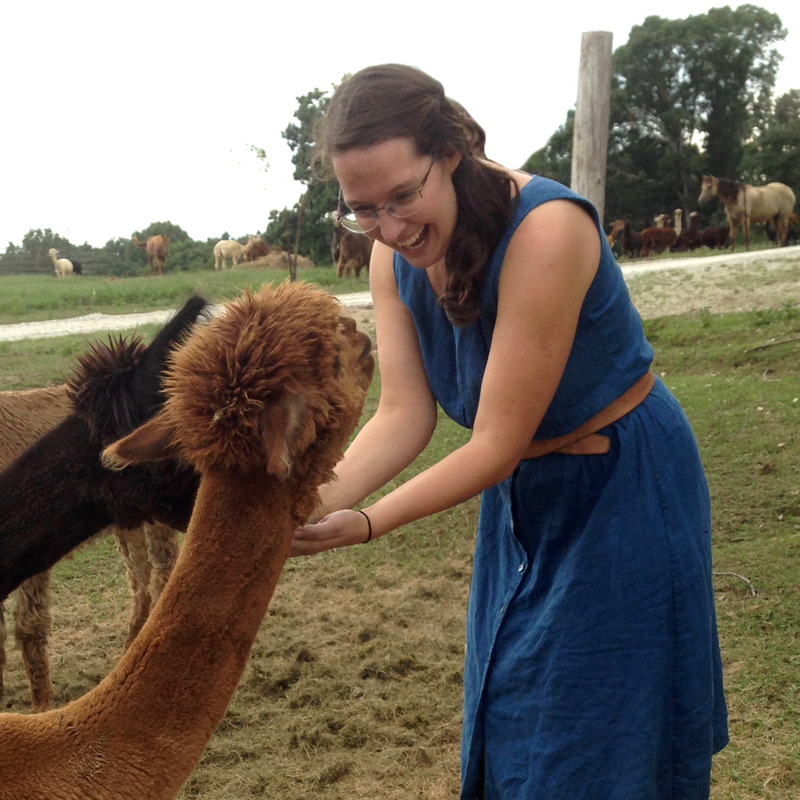 As always, a visit to the alpacas in included in the fun. This will be a 3 hour event, from 1 o’clock to 4:00 PM. Preregistration is required by end of day June 22nd, so that we may prepare for your attendance. We are located in Troy Missouri. 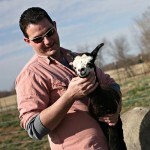 It will be a fun time and there will be alpaca visiting during the class. Theresa Hitchcock is the lead instructor at Perennial, a local non-profit that teaches creative reuse classes. She is also the handwork teacher at the Waldorf School of Saint Louis. Theresa’s interest in natural dyes comes from her love of gardening and working with natural materials for art making. Her passion for making things that are beautiful and well crafted spills over into her love of teaching. Theresa graduated from the Kansas City Art Institute (KCAI) with a Painting major, major-plus in Interdisciplinary Arts, with an emphasis in woodworking. She holds a certificate in Community Arts and Service Learning.